Few dinner venues in Marrakech can compete with Atlas mountains View’s backdrop . This is side dining at its unadulterated best and the closest you will get to a luxurious Infinity pool. 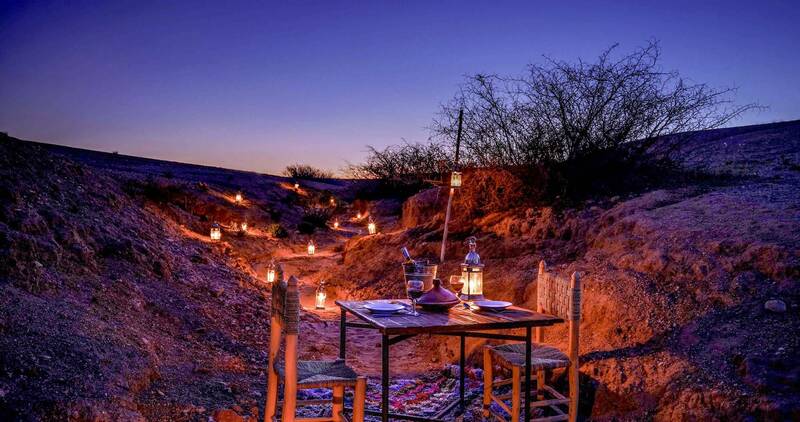 No fancy furniture or props; just sweeping views of the Atlas mountains and rustic tables. It’s not just the views, the Moroccan food menu is built almost entirely on fresh product of the day.